Geffrey Davis's debut poetry collection, Revising the Storm, won the A. Poulin, Jr. Prize, an annual award celebrating a US poet's first volume of poetry. 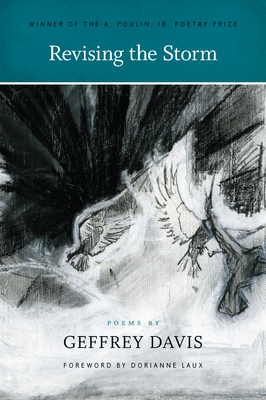 Davis has received the 2015 Hurston/Wright Finalist Award for Poetry, the Dogwood First Prize in Poetry, the Anne Halley Poetry Prize, the Wabash Prize for Poetry, and the Leonard Steinberg Memorial/Academy of American Poets Prize. In addition, he has accepted fellowships from Penn State's Institute for the Arts & Humanities and the Cave Canem Foundation. Davis also co-wrote Begotten, a book of poems about fatherhood, with F. Douglas Brown, whom he met at Cave Canem. He teaches in the MFA Program at the University of Arkansas. Like many first books, Revising the Storm tells family stories, but, here, the father's drug addiction scars the family as they interact with him, with their expectations, and with each other. Davis, now a father himself, offers the poems as a chance to find and offer forgiveness. Lyrical in language, measured in tone, Davis uses the formal constraints of poetry to create tension with the chaotic effects of addiction. In this interview with Literary Mama editor Camille-Yvette Welsch, he talks about the process of finding forgiveness, creating a working collaboration, and being a father. Camille-Yvette Welsch: Can you talk about the title of the book, Revising the Storm? How does it anchor the volume for you? Geffrey Davis: That title became the central commitment in writing the book, the base prayer that I hoped could pulse throughout: a claim to permission for turning the truths of trauma toward something beyond the facts of experience. CW: I suspect that much of your work is autobiographical. Why did you choose to write so directly about such difficult subjects like addiction and abandonment? In the following poem, you address some of those issues. or the hard certainty of the coda's chains? "My Last Love Poem for a Crackhead, #23" from "Revising the Storm," copyright "2014" by "Geffrey Davis," BOA Editions, Ltd., www.boaeditions.org. GD: There's not a poem in this collection that doesn't draw, to some degree, from lived life. Indeed, as you rightly suspect, all but a small handful speak directly to autobiographical experience. The select ones that do take an indirect approach—I'm thinking about poems like "Teaching Twelve-Year-Olds the Trail of Tears" or "Venison" or "If the Moon Were My Lover"—do so because I needed a different vantage and/or vocabulary to get from underneath the emotional pitch of my own memory. But, beyond saying yes or no to the lived moments that I felt compelled to grapple with in verse (there are things that I haven't yet figured out how or whether to write about), I don't feel like I had much choice in the matter—whether to pull from life, that is. I think I wrote the book I needed to write. That said, I did struggle deeply with trusting whether this book could be placed in a reader's hands and do no harm. I worried (and still do) over how books about trauma always risk an ethics of recovery. I kept wondering, what's the cost of these poems? Am I doing good work here? Who will I hurt? CW: One of the most powerful things in this book for me is the forgiveness and the amazing wealth of empathy for everyone in the book. The father is an addict, the young boy makes mistakes and hurts people, and the mother suffers terribly in her love for the father. How were you able to revisit these characters, and these moments, and bring forgiveness? Why did it feel essential or right to do that? GD: Actually, when I first started writing seriously, I wasn't able to bring a certain level of forgiveness to the poetry, especially when it came to my father. My very first poems wanted nothing more than to rub my father's face in the truth of his shortcomings, and so that's what they did. I wrote piece after brutal piece that strung real and imaginary fathers up according to images and metaphors and allegories for how he went wrong. But I was crafting a language for condemnation and erasure and resentment when what I needed was a language for survival, if not recovery. Even more troubling, by conflating truth and honesty, I risked offering readers a kind of permission for deepening and prolonging their own traumas. That really terrified me—I was sorry. But I was also lucky and grateful in that I discovered some important literary influences along the way, and they gave me healthier points to write toward and a creative process steeped in the difficult possibility of apology and forgiveness. CW: The older men in your book owe a debt to the young in this book, from brother to brother, father to son, even older self to younger self. Can you speak about that relationship and that interaction, particularly in light of your own experience as a father and son? GD: Really, that comes from my mother's example. Some of her example was circumstance: the instability and volatility caused by poverty and my father's drug addiction forced my mother to confide and rely on me at a young age. But most of her example was character. In addition to being (mostly) a single mother to four children, for several years, she ran an in-home daycare and sometimes took in extended family members and neighborhood kids who needed a place to stay. Whereas most adults measured kids with top-down proverbs and better-nots, I can't remember an instance of witnessing my mother offer her gaze or ear to a young person without a certain level of candor and respect. She didn't always avoid conflict or cater to their realities, but her default position was belief in what a young person felt the need to say or do. I have so many memories of her voice softening or her vision shifting according to something young me had asked or noticed. Now a parent, myself, I can appreciate the level of effort and patience that must have taken, especially while surrounded by so much youth, but I think her ability to see and hear us out ultimately garnered deeper trust and made her a more vigilant guardian. Both as a poet-speaker and as a parent, I try to learn and borrow from my mother's willingness to honor and be altered by what/how some folks see and hear things that we don't or can't. CW: You cite Robert Hayden and his poem, "Those Winter Sundays," arguably one of the most famous poems about fatherhood in the 20th century. You also mention Li-Young Lee, Stanley Plumly, and Robert Hass and acknowledge a debt to Lyrae Van Clief-Stefanon and Robin Becker. Can you talk about your literary forefathers? What are you looking for as you read? How do you find the kin in your literary family tree? GD: Yes, Hayden is one, as well as Lee and Plumly and Hass. When I came across those and other published writers who showed grace and wisdom in dealing with difficult (father) figures in poetry—like Sharon Olds, Cornelius Eady, Marie Howe, and Philip Levine—I realized just how emotionally flat and suspect my own poetic handling of my father had been. Such models taught me to read for challenge, for finding writers who pushed me to question and renegotiate and dynamize what I thought possible on the page—emotionally, conceptually, formally, etc. And I found those literary kinships through mentors, through research, through teaching, and through accident. The various and numinous ways by which I've discovered books that I now consider instrumental to my own poetics keeps me honest and open in wondering after the next literary kinship making its way through the world. I owe a special debt to Robin Becker. In addition to introducing me to Van Clief-Stefanon's brilliant work, I took a poetry workshop with her when I was a PhD student. Toward the end of that semester, at an MFA party I was crashing, she pulled me aside and encouraged me to consider a more serious relationship with my writing. I hadn't felt seen like that before as a writer, and that brief but powerful conversation set me on this path. CW: You worked with F. Douglas Brown on a chapbook entitled Begotten. You are both African American poets and fathers, and those identities really shape some of the poems. Can you talk about that process of working together and what it brought you as both a poet and a father? GD: The very inception of the book grew out of questioning what makes for an effective collaboration in poetry as in parenting. When we began, I had a pretty flat imagination about how two writers could work collaboratively. I assumed we'd probably repeat a process of passing pieces back and forth, adding equal parts to poems until someone claimed the ending had been reached. 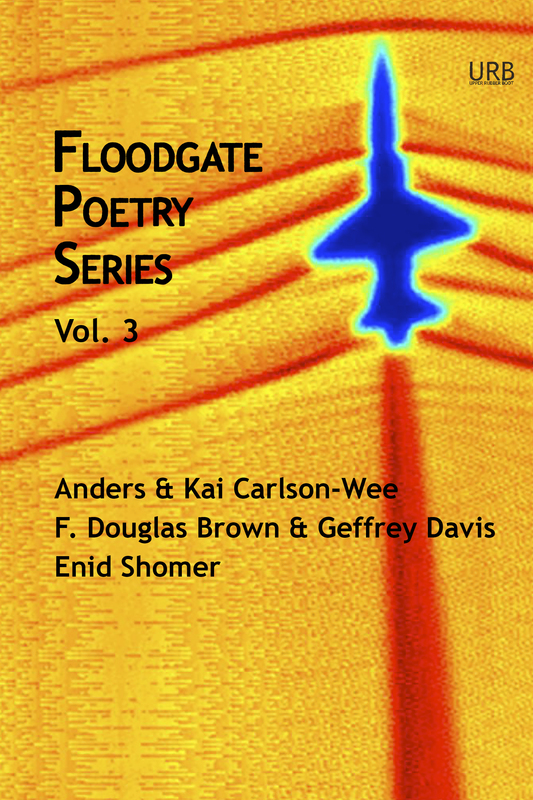 But Doug immediately exploded that approach, as we began to explore and experiment with various ways of crafting poems that spoke not only to/with/against/about each other but also to/with/against/about other literary and actual figures, both past and present. I learned a lot in the process, and now I see artistic and lived collaborations everywhere. I'd maybe go so far as to say I can't not see both poetry and parenthood as inherently collaborative endeavors. CW: In the book, you acknowledge a miscarriage and the pain that it brought both you and your wife, and you talk about the labor of childbirth. I've rarely read about these experiences from a man's perspective. Why was it important to you to talk about them? GD: At this point in my life, I've spent decades inhabiting and cultivating a familiarity with the wound/reality of my father, but that particular and sudden loss—the miscarriage—sent me reeling in ways that, in all honesty, I'm still processing and recovering from. In fact, I'm working on a poem right now that's seeking another ritual for making room in my voice to one day speak to my son (who was born after the miscarriage and turns six in July) about the matter. I was shaken by the swiftness and intensity with which that grief could cast my wife and me into an emotionally shared but separate domestic wilderness. Writing about our son's arrival was also fraught with challenges. His birth included a long and difficult labor for my wife, followed by a cesarean delivery. At first, I only allowed myself to write about the moment after delivery (which makes up the closing section of the poem "What We Set in Motion"). It wasn't until Nikky Finney, at a Cave Canem Retreat, charged me with "The words are yours" did I risk writing about the labor and the delivery from my perspective. With both the miscarriage and the birth, I feared the ethics of my rendering such an embodied experience for my wife. I also questioned my ability to honestly and accurately confront what these major experiences had done to me, how they had changed my voice and my hands—how, for some time, I struggled with trusting either to make the kind of contact I desired. But once these poems were actually written and revised, their inclusion in Revising the Storm seemed necessary—if only as a troubled document of their having been attempted. CW: What is next for you as a writer, teacher, father, and husband? Do you see those future goals as intertwined? GD: I prefer to have those goals intertwined. I do better when I feel less dispersed. Lately, they've been converging around my love of fishing. In addition to finishing up my second collection of poetry (a book that sort of picks up where Revising the Storm left off and deals a lot with being a new father myself, and which I'm calling The Night Angler), I've been working on some lyrical, nonfiction essay writing that explores the significance of rivers and angling in my life. At the University of Arkansas, I teach a writing nature course called Reel Narratives: Angling in Literature and Culture, which takes a deeper look at the studies, stories, and myths of fishing and considers angling's analogies to humanity's search for truth and purpose. Not too long ago, I got the chance to take a small group of honors students enrolled in that class on a fly-fishing trip to Arkansas' White River. Then my son turns six this summer, so he's nearing the age when I first fell in love with fishing. I have grand schemes for also getting my wife to join what I can only hope will be the making of two more lifelong anglers!